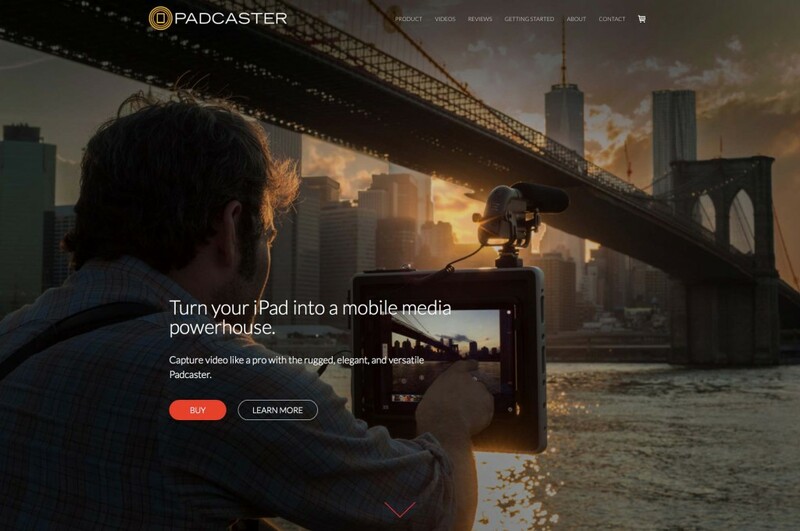 We’re honored to see that the good folks at Padcaster have chosen Filmakr as the video-creation app pictured on the brand new Padcaster website! We also hear that this image will be on the box of the new Padcaster coming soon to the Apple Store online. Padcaster in the house, what is it? 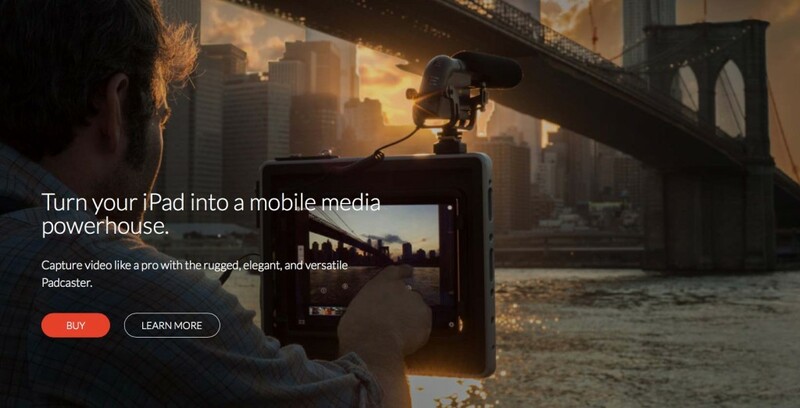 The Padcaster transforms your iPad into an all-in-one mobile production studio that is rugged, elegant and versatile so you can create professional quality video content that inspires. With the included wide-angle lens, shotgun microphone and dual mic/headphone cable, all you need is an iPad and your imagination. Use with your favorite apps to shoot, edit and upload video on the fly – or stream live right from the iPad. Includes: Case; Lens Bracket with 72-58mm step-down ring; .45 wide-angle lens, Padcaster unidirectional microphone; Dual mic and headphone cable; Four (4) lens bracket mounting screws; One (1) custom camera cage screw; One (1) cold shoe adapter. Ok all you Filmakrs, BUY IT HERE and get Padcasting!